In the meantime here’s a little background info. I started off doing HPDE’s (high performance driving events) and I was hooked right away. In 2007 I felt like I wanted to compete on some level, and after looking around I found out about Time Trial events, which is a competition where drivers compete for fastest lap. NASA’s rules made the most sense to me, so in 2007 I started competing in NASA’s TT series. I competed in the TTA class for about 2 seasons, 2007-2008. In 2008 I also went to NASA’s National Championship, at Mid-Ohio, which was a grueling trip for me that totaled around 5,000 miles. Nationals had a major impact on me and upon returning I started thinking about taking that step and transitioning into racing. During the 2 seasons while I was competing in TTA I had followed a few of the race classes. After some thought I realized that nothing excited me more than to race my Evo, so Super Touring was the class I decided with. I’m lucky though, because ST2 is competitive at the National Championship and in Socal, which was one of my deciding factors, i.e. I wanted to race in a class that is competitive at Nationals and in my region. That’s important because you’re really not going to learn how to race if you’re racing in a class that’s not competitive. We’re in the 2011 season now, and within the last 2 years I’ve been in 21 races. 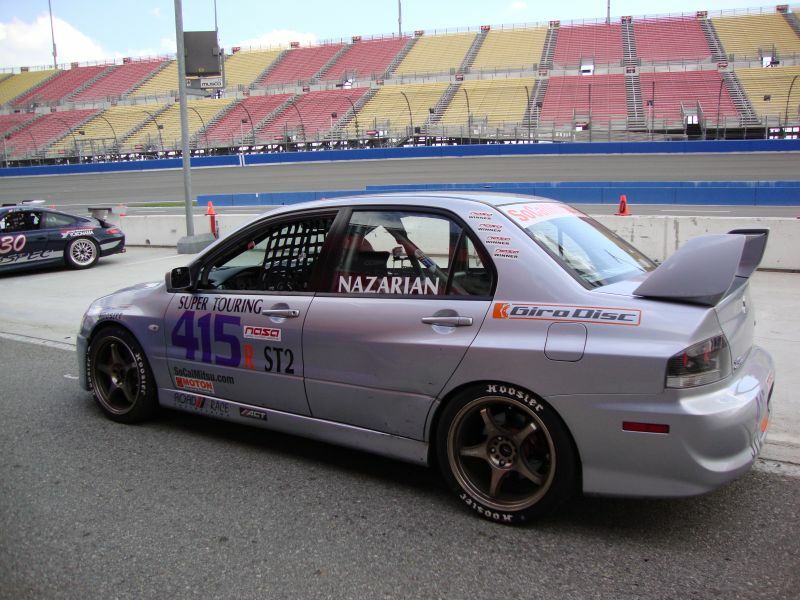 I’ve also raced at NASA’s National Championship during both of those years, 2009 and 2010. But if it wasn’t for RRE’s support, I wouldn’t have been able to accomplish all that. Their knowledge and hard work is what put me in a position to aim for such goals. Therefore, what I’ve been able to do since I started racing in 2009 is partially a reflection of what RRE is made of. This entry was posted on August 30, 2011. 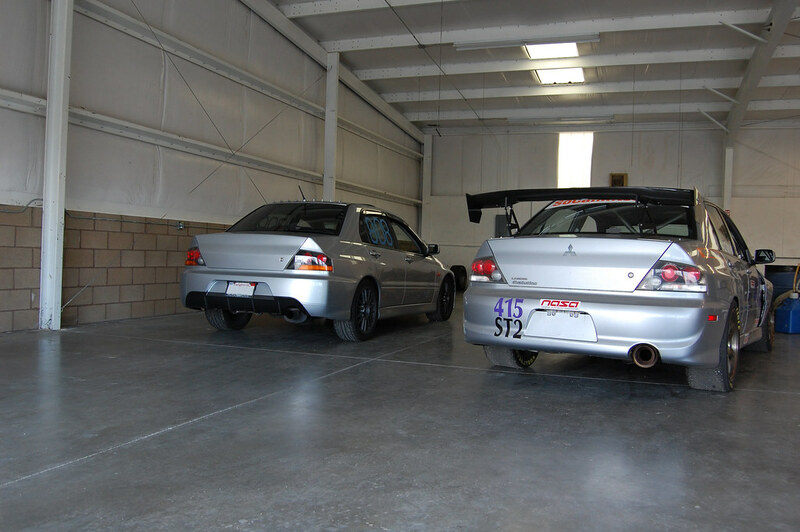 It was filed under Blog and was tagged with EVO 8/9, Race and Rally, RRE Race Team.